In Sentori, you can create your own email and webpage Templates. The simplest way is to copy an existing Template by going to “Templates” from the “Settings” menu in the top right, then click “Copy” from the Template's blue cog menu. 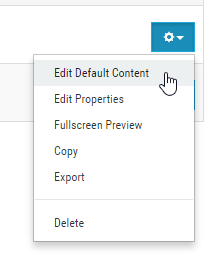 Once you have your new Template, click “Edit Default Content” from its blue cog menu and then change the Blocks using Layout Mode in the Editor, just as you would when editing an Email. 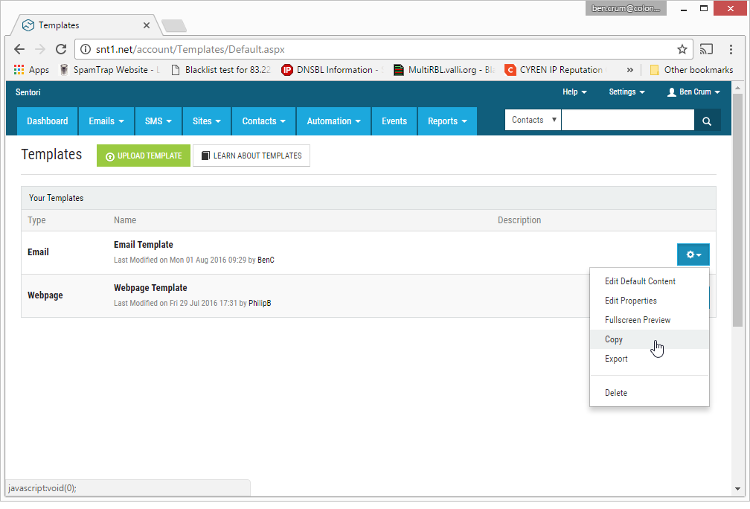 Alternatively, you can create your own Template externally, either from scratch in an HTML editor or from an existing Template by exporting it (click the “Export” option from its blue cog menu to download the HTML code and all of its images). When creating your own Template from scratch, use Sentori's template markup, enabling you to use blocks and other features of our built-in editor. Alternatively, if you're not going to make much use of the editor, you can ignore Sentori's markup and import your own ready-to-go HTML.